If you’re fascinated by medical science and scientific experimentation, completing a degree in Biomedical Science will give you the knowledge and laboratory skills you’ll need to pursue a rewarding career where you make new medical discoveries and breakthroughs in understanding human diseases. In this course, you’ll explore a variety of disciplines including physiology, microbiology, immunology and haematology, cell biology, biochemistry and pathology. You’ll also have the opportunity to broaden your scope by including other areas of study such as neuroanatomy, neurobiology, human nutrition and metabolism, and medical chemistry. Why study Biomedical Science at UNE? Our staff are well-qualified and committed to their teaching and research across a broad range of areas. You will learn laboratory techniques with extensive hands-on practical classes and you will also have the opportunity to complete a mini-research project and submit a report on the outcomes. We offer an alternate entry via the Bachelor of Scientific Studies which is designed for students without a Science background. Graduates of this program are equipped with knowledge and skills in the modern biosciences, particularly in their application to medicine, biomedical research and health care services. The solid foundation this program provides in molecular biology, biochemistry and physiology will also position graduates well for careers in medical research. Graduates are also well prepared for entry into a range medical or paramedical courses including medicine, pharmacy and dietetics. We offer introductory units in Chemistry, Mathematics and Physics for students who do not have the recommended background knowledge as well as free Bridging Courses in Chemistry and Mathematics. We also offer the Bachelor of Scientific Studies which was designed for students who do not have a background in Science. We do recommend that if you don’t have the recommended knowledge, you give serious consideration to including the Bachelor of Scientific Studies as a preference when you submit your application. Alternatively, you might like to consider enrolling for the Bachelor of Scientific Studies in the first instance and, on successful completion of eight units you will be eligible for award of the Diploma in Science, and you can transfer to the Bachelor of Biomedical Science with some credit (advanced standing) for units you have completed. 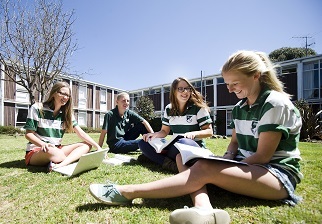 BBiomedSc graduates are also eligible to enrol for a range of postgraduate coursework programs including the Graduate Certificate in Science, Graduate Certificate in Disability, Graduate Diploma in Science, Graduate Diploma in Disability, Master of Scientific Studies, Master of Disability and the Master of Neuroscience.